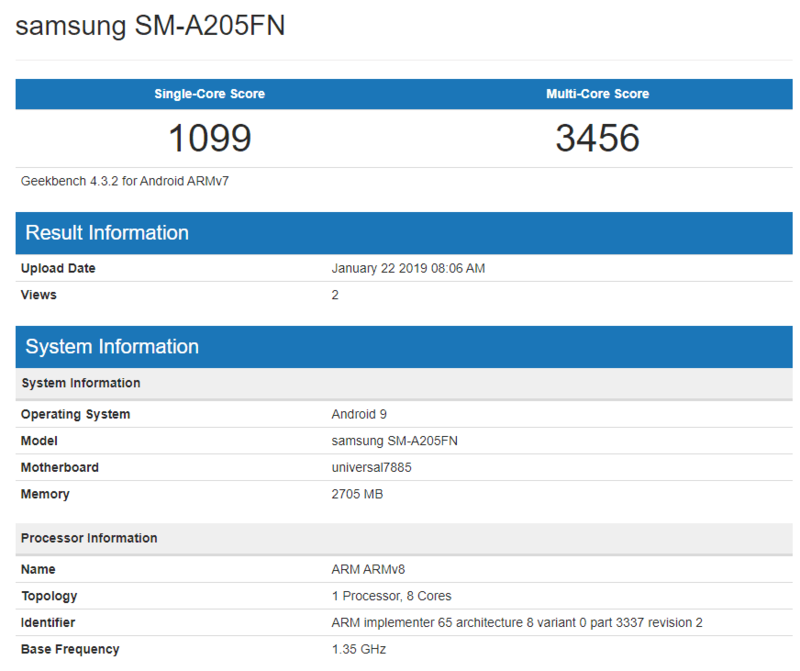 Samsung Galaxy A30 was spotted on Benchmark recently now Samsung Galaxy M20 with model no SM-A205FN has been leaked on Geekbench 4. Samsung also working on Galaxy A40, Galaxy A50, Galaxy A60, Galaxy A90. Samsung Galaxy A30 will be powered by 7885 processor with 4GB of RAM and 32GB and 64GB of internal storage. 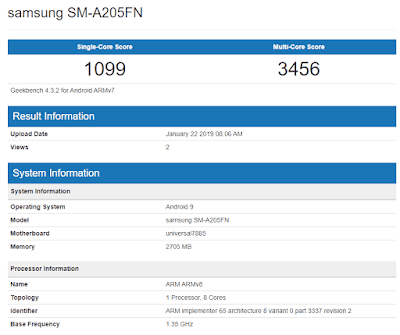 Samsung Galaxy A40 powered by 7885 processor with 4GB of RAM. Samsung Galaxy A50 smartphone will feature a waterdrop-style Infinity V Display, triple rear cameras, and an in-display fingerprint sensor powered by Exynos 9610 processor with 4GB RAM, 64GB and 128GB storage options.24MP front facing camera. Packed by 4000mAh battery Samsung Galaxy A60 to features a punch-hole display. Samsung to launch 9 Galaxy A-Series phones in First Half of 2019.